member A speech delivered at the Ludwig von Mises Institute Conference: "Austrian Economics and the Financial Markets," held at the University Club in New York City, May 22, 2010. Comments in brackets and italics were cut from talk due to time constraints. The speech can be heard in the "Interviews" section of the AuContrarian.com website, and, on the Ludwig von Mises website along with those of other conference speakers. Alan Greenspan was the right Federal Reserve chairman for his times. His reputation was a creation of inflation and this was a century of inflation. His knowledge was superficial, when America tended towards superficiality. He was a creation of publicity in an age that craved celebrities. He was inarticulate, at a time when minds were growing more confused. He took short cuts to the top, when Americans more readily took the easy route. Money has been degraded over the past century. It takes at least $20 to buy what cost $1 in 1913. Inflation of money was integrated into the twentieth century inflation of words, constant distractions and media promotion. Thus, the worship of celebrities simply because they are celebrities and the success of one pandering politician and clever opportunist: Alan Greenspan. The short cuts taken in the 1950s set the course to the present. We bargained for wages and benefits that could not be paid in constant dollars. Americans worked fewer hours. We were buying more from abroad than we were selling. The government was spending more than its revenues by the 1960s. In 1971, we stopped settling our balances in gold. Governments - and this was true around the world - found deficit financing an opium to the masses. Government programs abounded. The masses grew accustomed to inflation and borrowing in currencies that tended towards depreciation. Thus, debtors paid back less real money than they had borrowed. Bankers could lend more after the link to gold was severed since no final settlement of claims existed. For this subterfuge of honesty and common sense, the United States employed celebrity economists who would make up new theories on the fly. This was dishonest. It follows that our dealings in dollars became dishonest. The corruption by the government, by economists who satisfied their interests, was matched by the corruption of those who trafficked in money. Since honesty was the enemy of our dealings, dishonesty held an advantage. In the end, credit and government policy have gravitated to fewer hands, those willing to participate in a swindle of the public's savings and of its trust. At the center is an institution, the Federal Reserve System, which has been a willing accomplice. It employs dishonest economists. In 1987, it elected as its chairman a man of no merit but who could be counted upon to cut whatever corner was necessary to maintain the façade of national solvency. That imposter was Alan Greenspan. He had just entered Columbia University where he was studying for a doctorate in economics. He signed up for a class under Professor Arthur Burns. Burns was a well-known figure. He was co-author of a well regarded book: Measuring Business Cycles. Whatever he learned in Burns's class, Greenspan did the important thing: he took up the pipe. This was Burn's trademark, as some will remember when Federal Reserve Chairman Arthur Burns sat before Senate committees and reinvented economics in the 1970s. In 1953, Burns left Columbia to head President Eisenhower's Council of Economic Advisers - the CEA. Greenspan left Columbia at the same time, without receiving his doctorate. In 1977, he would receive his doctorate degree in economics, from NYU. It is a collection of articles and some economic journal pieces stapled together. Alan Greenspan made a habit of choosing the easy route. The media drones on about Greenspan's "ideology." Or, sometimes it's his "libertarianism." Or, it might be his "free-market beliefs." Whatever the case, these are simple labels, and simple labels are about all we will get from the media. Alan Greenspan has cared about one - and only one - thing. Every nerve ending in his body at every moment in his life has been devoted to the promotion of Alan Greenspan. "Now, looking at [Alan], I wondered to what extent he was aware of Ayn's opinions." Branden continued: Complimenting Ayn on some [paper she had written and read to the group], Greenspan might say, "On reading this...one tends to feel...exhilarated." Ayn Rand seems to have understood why Alan clung to her apron strings, if she wore an apron. She asked Branden: "Do you think Alan might basically be a social climber?" Alan knew what he was doing. Around that time, a young writer asked Gore Vidal if he had any advice: Vidal replied: "Yes, get on TV as often as possible." Slichter told the Senate that the Fed would have to accept inflation to generate sufficient jobs. Slichter argued that costs for materials and labor were rising because "unions [were pushing up] wages and fringe benefits faster than the gains from productivity of labor. The result is a continuation of the slow rise in prices". "It is an economic axiom that goods and services can only be paid for with goods and services." In the opposite corner to Slichter was William McChesney Martin Jr. Martin was chairman of the Federal Reserve board from 1951 to 1970. Refusing to raise the white flag, Martin gave one of the finest speeches ever delivered by a central banker. He might not have much competition. It was on August 13, 1957, that he spoke before the U.S. Senate Committee on Finance. He told the assembled: "There is no validity whatever in the idea that any inflation, once accepted, can be confined to moderate proportions." Martin responded to "some segments of the community" - probably economists - who were arguing for "a gradual rise in prices...perhaps 2 per cent a year," Martin warned that such a prospect would work incalculable hardship." "Losses would be... inflicted upon millions of people..."
Chairman Ben Bernanke has stated the economy should have a minimum inflation rate of 2% per year. There is not necessarily a contradiction here. Simple Ben doesn't seem to care if he inflicts hardship upon hundreds of millions, if he knows what he's doing at all. Martin believed, fears of inflation would "cause people to spend more and more of their incomes and save less...."
Martin told the politicians that the composition of savings would change. It would "tend towards speculative commitments...and the pattern of investments and other spending - the decisions on what kinds of things to buy - will change in a way that threatens balanced growth." Martin warned that "a spiral of mounting prices and wages seeks more and more financing" with a "considerable volume of the expenditure...financed at all times out of borrowed funds." "Finally" Martin said, "we should not overlook the way that inflation could damage our social and political structure....Those who would turn out to have savings in their old age would tend to be the slick and the clever rather than the hard-working and the thrifty. Fundamental faith in the fairness of our institutions and our Government would tend to deteriorate." Speaking of the slick and the clever, by 1970, Alan Greenspan was a millionaire. By then, he owned an apartment at United Nations Plaza, a new and fashionable address where Walter Cronkite, Truman Capote and Johnny Carson also lived. But what had he done - that is - as an economist to live among such company? It really isn't clear. He was a minor figure. Those who respected him said he was a whiz with numbers. A far larger group remembers, yes, he was full of numbers, but he was always wrong. 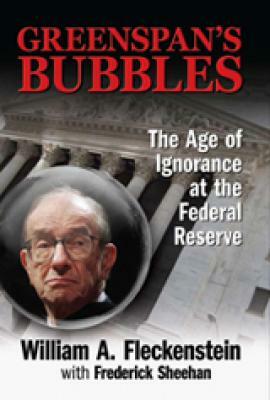 In the words of biographer Justin Martin: "[T]he general impression among people who knew Greenspan in those days was that he wasn't exactly marked for real greatness.... His old friends were destined to watch his career unfold - Nixon adviser, Ford adviser, [five]-term Fed chief-in stunned amazement." Another to witness the curious elevation of Alan Greenspan was Marc Faber, who joined the Wall Street firm of White, Weld in 1970. Shortly after, [White Weld] hired Alan Greenspan, then as a consulting economist. Part of Marc's job was to attend the monthly economic presentations by Greenspan and interpret his comments for the overseas offices. "Looking back....I... had no idea what Mr. Greenspan was talking about, but I may not have been the exception. When Mr. Greenspan first came on board at White, Weld as a consultant, 30 or 40 people from the firm's various departments would attend the meetings. Within a few months, however, attendance had dropped to just a handful.... By then I had also learned that the easiest way for me to communicate the (to me) incomprehensible remarks... was simply to summarize the previous day's news from the front page of the Wall Street Journal..."
Marc noted that one of the best investment decisions White, Weld ever made was to "get rid of Mr. Greenspan in late 1972 and hire instead the economist Gary Shilling." Martin Mayer, who has written several books about Wall Street, first met Alan Greenspan in the 1960s. The millionaire economist was making a specialty of "statistical espionage" - that was Greenspan's description. Mayer later wrote: "the book on him in that capacity was that you could order the opinion you needed." Greenspan's girlfriend Barbara Walters, wrote in her recent autobiography: "How Alan Greenspan, a man who believed in the philosophy of little government interference and few rules or regulations, could end up becoming chairman of the greatest regulatory agency in the country is beyond me." This was the road to his success: he would do anything and he would say anything. He worked on his relations with the press much harder than he worked as an economist for his clients. He went one step further than other fast-track economic consultants - he even dated the press, then finally married it. Even though he was a minor figure during the 1960s, he was getting his name in the New York Times, making market predictions. The funny thing is, he was almost always the voice of doom in those days. That was the 'sixties, so he was always wrong. In the seventies he was always wrong too, since he was always bullish. William Martin's insight - that "a spiral of mounting prices and wages seeks more and more financing" and a "considerable volume of the expenditure...financed at all times out of borrowed funds." was a feature of the 1960s. That was the decade of the conglomerate. Some who built mountains from molehills in the 1950s and 1960s were Meshulam Riklis, Carl Lindner and Saul Steinberg. They used paper instead of cash to buy out companies. It is not a coincidence that American living standards probably plateued around 1970, since capital was so badly mishandled. Wallich explained inflation "is technically an economic problem. I mean the breakdown of our standards of measuring economic values, as a consequence of inflation." The strong are smart enough to understand that inflation "introduces an element of deceit into our economic dealings." Contracts are no longer made to "be kept in terms of constant values" but, one party understands this better than the other. Wallich went on to emphasize "the increasing uncertainty in providing privately for the future pushes people who are seeking security toward the government." Moving forward - to the 1980s, we had the savings and loan free-for-all. We also were adding mounds of debt that would have been inconceivable when Martin spoke in 1957. In 1980, we - the United States, borrowed $1.40 for every $1 we added to GNP. By 1985, we were adding $4.00 for every $1 increment in GNP. Barrie Wigmore, then at Goldman, Sachs, wrote an excellent book, Securities Markets in the 1980s. Wigmore wrote, of Riklis, Lindner and Steinberg: "it is tempting to conclude they... represented a cabal.... [They] cooperated and invested with each other extensively and were old hands in the market aspect of "Chinese paper" from the merger wave of the 1960s." .... Their "activities illustrate the combination of native cunning and access to leverage that made them effective." Wigmore wrote, they [Riklis, Lindner and Steinberg] had a common involvement with Michael Milken's group at Drexel Burnham that probably helped to create enough liquidity for their junk bond securities..."
In 1984, Alan Greenspan was hired by the most notorious criminal in the savings and loan racket: Charles Keating. Keating laundered money through Lincoln Savings and Loan. He needed someone to write a letter to his regulator, [the Federal Home Loan Bank of San Francisco] that stated Lincoln Savings and Loan's investments were sound. 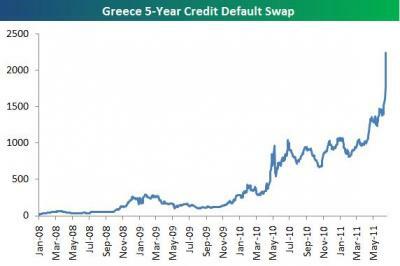 Greenspan surely knew who he was dealing with. He had been on Wall Street in the 1960s. He trafficked in knowing who he should be schmoozing. In the 1980s, he must have known Lincoln was part of the Riklis, Steinberg, Lindner, Boesky, Milken crowd. [Lindner had been in the news when he extorted greenmail from Combined Communications (1979), and Gannett (1981). "Greenmail" - was a neologism for the word "blackmail," - when a "corporate raider" acquired shares in a company and the company then bought the shares back at a premium to rid itself of the raider. Steinberg's most publicized success was also his most profitable - when he extorted $60 million from Walt Disney in 1984. Lindner used Keating when greenmail efforts went awry and he wanted to dump shares. An example was Gulf Broadcast - Keating's first big investment, in 1984. Keating paid $132 million to Lindner's American Financial. This was 30% above that day's market price. The $132 million was also twice Lincoln's net worth - a violation of California regulations. All of this was before Greenspan's 1985 high praise for Lincoln Savings and Loan's "expert[ise] in selecting and making direct investments.". This was just the man to inherit the Federal Reserve chairmanship in 1987. Four years before, in 1983, a poll of Wall Street executives found that 31% of them had a special confidence in Alan Greenspan, should he be named chairman. He was second in that poll, behind Paul Volcker. I don't know why he thought that, but it is an odd suspicion of a candidate for a senior government post. [At least it was in 1974.] He may have known about Greenspan's reputation: "the book on him was that you could order the opinion you needed." More than Greenspan's habit of always being wrong - and by such a wide margin - Proxmire was probably more concerned by Greenspan's less-than-honest "full disclosure" statement he had submitted to the White House and the Senate. He had not revealed services rendered to [Sears and] Lincoln Savings & Loan. Greenspan distinguished the two by slipping them in the side pocket of "advocacy projects." Proxmire was a foe of bank deregulation. He feared big banks would squash smaller banks. He feared Alan Greenspan would to be only too happy to squash them. "As chairman of the Federal Reserve you play the key role in approval or disapproval of these massive bank mergers.... I would feel much better about this appointment if there was somewhere in your record an indication of your awareness of the dangers to our economy of excessive financial concentration." Greenspan was as permissive when it came to money printing as he was on mega-banking. He had to be. Americans were impatient and Greenspan did not want to disappoint: He loved to be liked. He would not wait for a proper recovery after the recession of 1990. He reduced the fed funds rate from 9-3/4% in 1989 to 3% in 1992. Banks and hedge funds leveraged up and refloated the economy. This was the first time a recovery in the U.S. was driven by finance rather than production. Money and credit was concentrated more and more in the hands of "the slick and the clever" who had nearly unlimited access to "more and more financing." By now, the middle class was getting trounced. MR. LINDSEY. Our luck is about to run out in the financial markets because of what I would consider a gambler's curse: We have won this long, let us keep the money on the table.... But the long-term costs of a bubble to the economy and society are potentially great. They include a reduction in the long-term saving rate, a seemingly random redistribution of wealth, and the diversion of scarce financial [and] human capital into the acquisition of wealth.... I think it is far better that we [burst the stock-market bubble] while the bubble still resembles surface froth and before the bubble carries the economy to stratospheric heights. Whenever we do it, it is going to be painful however.... If the optimists are wrong, then indeed not only our luck but that of the markets and of the economy has run out. Thank you. CHAIRMAN GREENSPAN. On that note, we all can go for coffee. Greenspan sat there and drank coffee for the next 10 years. He blew up the stock market, then the mortgage and credit markets while the sorts of characters who were reaching the top on Wall Street were of a persuasion that you wouldn't allow to fill your gas tank. In 2001, David Tice testified before the House Financial Services Committee: "The most reckless fund managers, the most reckless auditors, the most reckless investment bankers, the most reckless corporate officers made the most money. So you had greater and greater incentives to promote the most reckless guys." Meanwhile "the most reckless CEOs hired the most reckless [chief financial officers.]" That was in 2001 - a generation of CEOs before those who were promoted and reached the top ran us off the cliff, as such types could be expected to do. But, the worst racketeers in the country have gravitated to the Federal Reserve Board. To prevent the economy from collapsing they rigged more markets than the Politburo. The 2004 transcripts from the Federal Reserve Open Market committee - the FOMC - were just released. At the March, 2004 meeting, Federal Reserve Governor Donald Kohn stated the FOMC's mission: "Policy accommodation - and the expectation that it will persist - is distorting asset prices. Most of the distortion is deliberate and a desirable effect of the stance of policy. We have attempted to lower interest rates below long-term equilibrium rates and to boost asset prices...."
In other words, Federal Reserve policy was to distort asset prices. Kohn also said this was deliberate and desirable. In other words, distorted asset prices were not an unfortunate consequence of such-and-such Fed policy. The Fed's goal was to distort asset prices. Kohn went on: "It's hard to escape the suspicion that at least around the margin some prices and price relationships have gone beyond an economically justified response to easy policy. House prices fall into this category". So note: the Fed was deliberately driving up the prices of houses. I wrote about the 2004 transcripts last week on my blog. Having read all the transcripts from 1994, I can say this latest batch was of a different character. The Fed was now - in 2004 - holding long-term Treasury rates within a narrow band - for the benefit of the carry trade. The FOMC was now managing the size of the carry trade, and Greenspan was now asking whether hedge fund managers were properly delta hedging the extension of mortgage security duration due to changes in interest rates. That was in 2004 - and we know how badly this central planning effort failed. Now in 2010, what in the world is the FOMC trying to manage to prevent an even larger blow up? [Those who own stocks: take note. In retirement, Alan Greenspan claimed that he really didn't get it about subprime housing until late 2005. He can be a particularly incurious fellow. In 2005, New Century ($35 billion), Option One ($29 billion) and Ameriquest ($19 billion) - all of Irvine - sold $83 billion of subprime loans in 2005. That is just subprime. In a single year. And what is Fed policy today? "Recently the improvement, in risk appetites and financial conditions, in part responding to actions by the Federal Reserve and other authorities, has been a critical factor in allowing the economy to begin to move higher after a very deep recession.... Low market interest rates should continue to induce savers to diversify into riskier assets, which would contribute to a further reversal in the flight to liquidity and safety that has characterized the past few years." One reason for the Fed's zero percent interest-rate policy, in the words of former Federal Reserve Board member Henry C. Wallich: "is [as] a means by which the strong can more effectively exploit the weak. The strategically positioned and well-organized can gain at the expense of the unorganized and aged." The old can not live on zero percent, so the Fed has been able to chase them into riskier assets. In conclusion, Chairman Greenspan was a fiat chairman for a fiat age. His credentials were inflated to serve in a position of responsibility where he would justify that "special confidence" Wall Street executives had vouched for in 1983. Americans were beguiled by this fixture on television, who gained more credibility simply because he was the central attraction on television. Americans were also taken in by corrupt economists, who were advertised as experts. They propelled a system that needed constant infusions of propaganda, convincing Americans they were getting richer even though they were getting poorer. By 2001, the "slick and the clever" had to be "the most reckless auditors [and] the most reckless investment bankers" since their dealings were divorced from any real, economic function. Thus "fundamental faith in the fairness of our institutions and our Government has deteriorated." Indeed, as Steve Keen documents in his must-read book, Debunking Economics: The Naked Emperor Dethroned, mainstream (i.e. neo-classical) economists don’t even take debt into consideration in their models of what makes for healthy economies. The vast majority of economists were taken completely by surprise by this crisis—including not just … the ubiquitous “market economists” that pepper the evening news, but the big fish of academic, professional and regulatory economics as well. Finally, the most remarkable reason of all is that debt, money and the financial system itself play no role in conventional neoclassical economic models. Many non-economists expect economists to be experts on money, but the belief that money is merely a “veil over barter”—and that therefore the economy can be modeled without taking into account money and how it is created—is fundamental to neoclassical economics. Only economic dissidents from other schools of thought, like Post Keynesians and Austrians, take money seriously, and only a handful of them—including myself (Steve Keen, 2010; http://www.economics-ejournal.org/economics/journalarticles/2010-31)—formally model money creation in their macroeconomics. Ignoring the foreign component, or looking at the world as a whole, the overall level of debt makes no difference to aggregate net worth — one person’s liability is another person’s asset …. So most economists think that debt – and our money system – don’t matter. (This must-see 47 minute video provides details). Indeed, despite the harms that too much debt can cause, some in government have worried that paying off our debt would be harmful for our country. [NPR] has obtained a secret government report outlining what once looked like a potential crisis: The possibility that the U.S. government might pay off its entire debt. If the U.S. paid off its debt there would be no more U.S. Treasury bonds in the world. Banks buy hundreds of billions of dollars’ worth, because they’re a safe place to park money. Mortgage rates are tied to the interest rate on U.S. treasury bonds. The Federal Reserve — our central bank — buys and sells Treasury bonds all the time, in an effort to keep the economy on track. If Treasury bonds disappeared, would the world unravel? Would it adjust somehow? What do you do with the money that comes out of people’s paychecks for Social Security? Now, a lot of that money gets invested in –- you guessed it — Treasury bonds. If there are no Treasury bonds, what do you invest it in? Stocks? Which stocks? Who picks? The danger that we would pay off our debt by 2012 has clearly passed. There are plenty of Treasury bonds around these days. U.S. debt held by the public is now over $10 trillion. So Greenspan pushed for a tax break for the wealthy, to increase the debt. In the real world – and not even taking into account the debt downgrades to the U.S. – economists have shown that too much debt creates a drag on the economy which stifles growth. [We’ll have] a never-ending depression unless we repudiate the debt, which never should have been extended in the first place. Former Federal Reserve Chairman Alan Greenspan told Bloomberg Television's Betty Liu on "In the Loop" this morning that "markets will crater if we run into any evidence that we can't solve this [fiscal cliff] problem." Greenspan said, "If we get out of this with a moderate recession, I would say that the price is very cheap." "We have to recognize that this is going to be extraordinarily difficult to solve. All of the simple low hanging fruits have been picked and the presumption that we are going to resolve the big issue on spending by making a few little twitches here and there I think is a little naive. If we get out of this with a moderate recession, I would say that the price is very cheap. The presumption that we will solve this problem without paying I think is grossly inappropriate." "I think it is not only Simpson-Bowles. I think the markets are getting very shaky. And they are getting shaky because I think fiscal policy is out of control. And I think the markets will crater if we run into any evidence that we cannot solve this problem. And I think the notion that the issue of the impact on the economy is strictly the spending tax issue, is also the market. I think we underestimate the extent to which the market value of assets has a very important impact on real GDP." "Not necessarily. I am just saying that we may get a deal, which will take us for next year or so. But the question isn't that. I think the question is essentially how are we going to stop what is a critical problem here, an extraordinarily rapid rise in what the department of commerce calls government social benefits to persons, which has been rising very rapidly bipartisanly in the sense that it has been rising even faster under Republican administrations than Democratic administrations. And they are all very closely involved in these new benefits, the only problem is that it is eating into the savings of the society and our long-term growth. And yes, we can continue for the next year or so without any really serious problems emerging. But I think it is a highly risky endeavor. The problem is, if we are going to come to grips with this thing, we are going to have to recognize that even if we have got to pay the cost of a significant rise in taxes to get a significant slowing and then decline in social benefits, that is a very cheap price in the sense that a large increase in taxes required to fund what is currently on the books is going to cause a recession. But I think that if we can get away with that is the only cost to this whole problem, I think that is a pretty good deal." "The problem basically is that we have tried for decades to somehow manage our budget in such a way that, yes we can run deficits of this or that size, and we use it sophisticatedly for fiscal policy. It turns out we cannot do that well. It gets out of hand and this is not an accident. There is no question that raising taxes will turn the economy downward. Ideally I would like to just cut spending. I do not think politically that is feasible because the problem, no matter how you look at it, is fundamentally this extraordinary rise in social benefits to persons. That is the core of the problem. But the issue is, if we can solve it the way I would want to solve it, if we go back to where we were earlier at a much lower level of those benefits because I think what is then going on in recent years, we have not been able to afford."